The US Airways employee responsible for sending out a pornographic tweet Monday will not be fired, the company said, because it was a mistake. 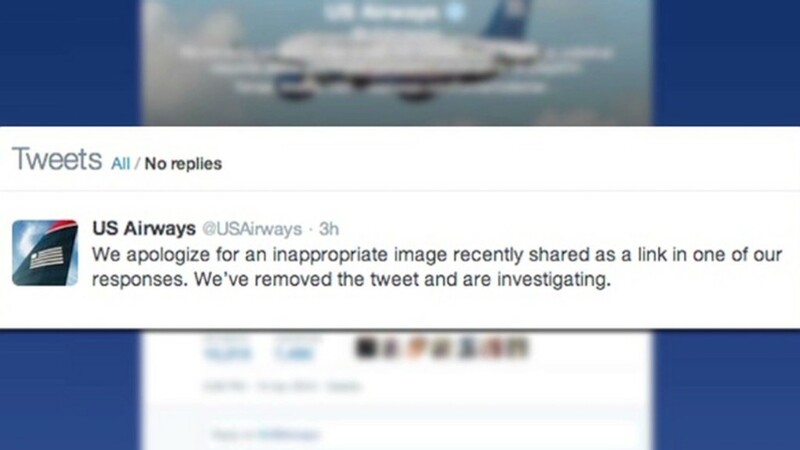 A link to a pornographic image was included in a tweet from US Airways when replying to a customer who was complaining about the airline's service on Twitter. The link should have led to a web page where customers can submit complaints. Instead the link led to a lewd image that was initially posted in a tweet sent to US Airways from another Twitter user. US Airways flagged that tweet as inappropriate, but the employee then inadvertently included a link to the image in a US Airways tweet. "It was an honest mistake and it was done while capturing the tweet and flagging it as inappropriate, our standard procedure," said Matt Miller, a spokesman for US Airways' parent company American Airlines Group (AAL). The employee, who is someone tasked with tweeting from the US Airways Twitter (TWTR) handle, won't be punished. But the airline is reviewing its processes to prevent a similar thing from happening in the future, Miller said. The obscene tweet was deleted as soon as US Airways realized the mistake on Monday and the airline issued an apology via Twitter.